FanDuel’s legal sports-betting operations in New Jersey are off to an unusual and bumpy start, with the firm agreeing to pay at least $82,000 in winnings on an erroneously listed NFL line that the new operator wasn’t likely even liable to pay. The strange situation occurred last Sunday during the National Football League’s Sunday Night Game of the Week between two AFC West Division rivals, the Denver Broncos and Oakland Raiders. During the late stages of the game, a coding error very briefly (for 18 seconds) allowed a massively erroneous line to be printed on an in-play wager to be paid in the event the Broncos scored on their last possession to win the game. Instead of what should have been odds of -600 (betting $600 to win $100), a handful of betting slips were printed with inaccurate odds of +75,000 (betting $100 to win $75,000). The miscoded line seems to have reached the public only at FanDuel’s live sports book at Meadowlands Raceway in New Jersey, and was either not available online or was corrected before any bettor noticed it. A Newark bettor, Anthony Prince, was among those who few who received a ticket with the unexpected splendid payout possibilities, which seemingly hit when Denver kicked a late field goal to win. Yet Prince — and presumably a few others — were turned away when attempting to collect. Prince took his tale to New Jersey’s News12, which duly reported on the blunder. Prince was seemingly due $82,610 on his $110 wager, except he wasn’t able to collect at the time. “They said their system had a glitch in it and they’re not obligated to pay for glitches,” Prince says. Prince says that instead he was offered $500 and skybox seats for three Giants games. But Prince says that he declined. “The other guy said, ‘You should take what we give you because we don’t have to give you [anything] at all.’ I said, ‘Wow, for real?’” Prince says. FanDuel continued to try to make some promotional hay out of the situation by ponying up another $82,000 as part of a random giveaway, $1,000 each being awarded to 82 separate accounts. 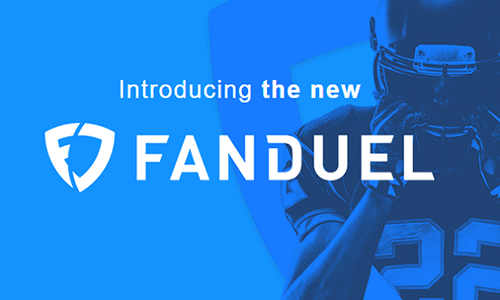 While this is a great marketing move, albeit it an expensive one, FanDuel did this entirely to bolster its image in a new market rather than because of any legal liability… because FanDuel had no such liability here. Every sportsbook in the world has standard boilerplate in its Terms and Conditions that declares all such wagers made and accepted to be null and void in the case of an erroneous line being offered, no matter what the reason. That’s absolutely the industry standard. Mr. Prince should, in the legal sense, never have been paid on the erroneous wager, so it’s a great windfall for him. Dozens of other bettors will receive smaller surprises as well. Meanwhile, FanDuel hopes that a coding blunder and as much as $200,000 in unneeded expenses will turn out to have long-term brand-name benefits. It’s difficult to evaluate whether the extra expense is worth it, though the situation is indeed generating plenty of extra press.